Keep your business under control !! SIGN UP now, It's FREE!! 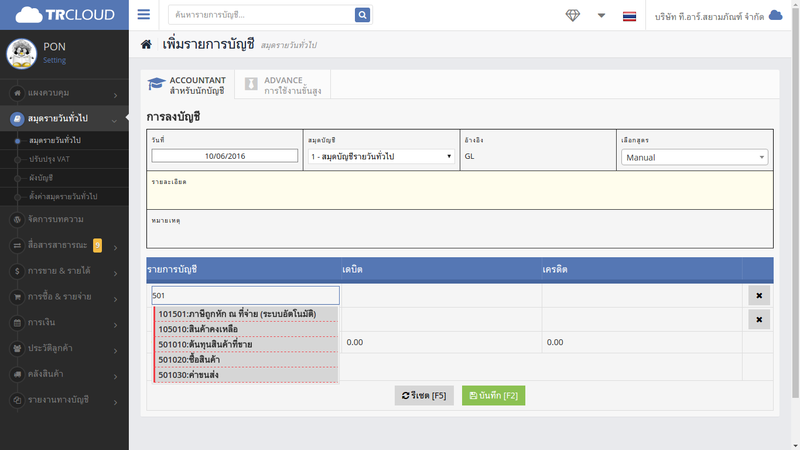 TRCLOUD is a cloud-based accounting software purposingly designed for Thai businesses & Startups. It comes with double entry bookkeeping system as well as full accounting and billing capalities without any annoying limitations. TRCLOUD is simple and best for accountants but, still, very easy for non-accountants to adopt. Accessible from anywhere and anytime you wish when there is internet connection. TRCLOUD enable you to keep track on financial statement s including Balance Sheet, Income Statement, Ledger Account, Sale Tax Report and etc. on REAL TIME basis. Our software supports multiple user, so your staffs can work together on the same data via cloud service yet no need for working on same device nor same work place. With our dashboard, you are able to keep track on amout of cash on hand, account receivable and other financial ratios, criticle to buiness on real-time basis. Our cloud accounting software includes Double Accounting Entry which is familiar among accountants. 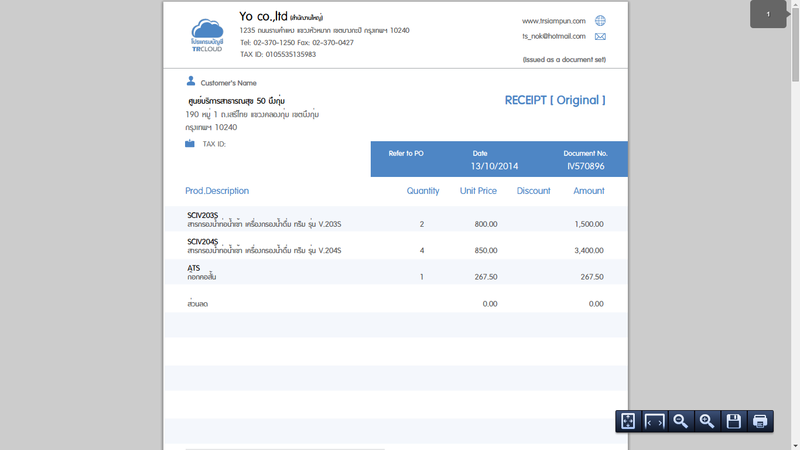 Our cloud accounting software is capable to print varieties of document e.g. Quotation, Purchase Order, Tax invoice, and financial statements. With this feature, you are capable to stay tune on every transaction as well as debtor-creditor status for each trading partner. 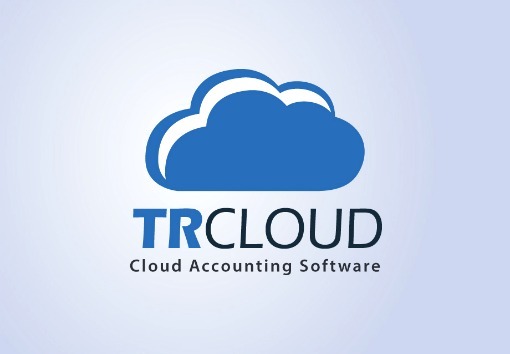 TRCLOUD is a complete accounting software meaing that it is capable to generate financial statements e.g. 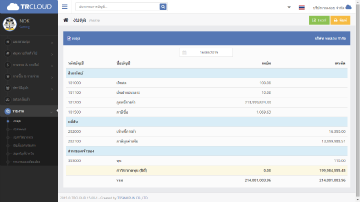 Balance Sheet, Trial Balance, Income Statement, General Ledger and Ledger Account that follow thai regulation. Therefore, all you need are make accouting inputs, print out the statements, and submit docs to revenue department. 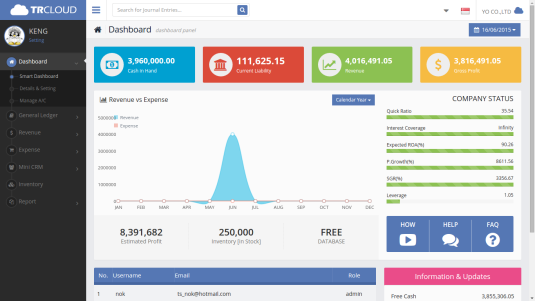 TRCLOUD is a cloud-based (online) accounting software that employs double entry as backbone system. 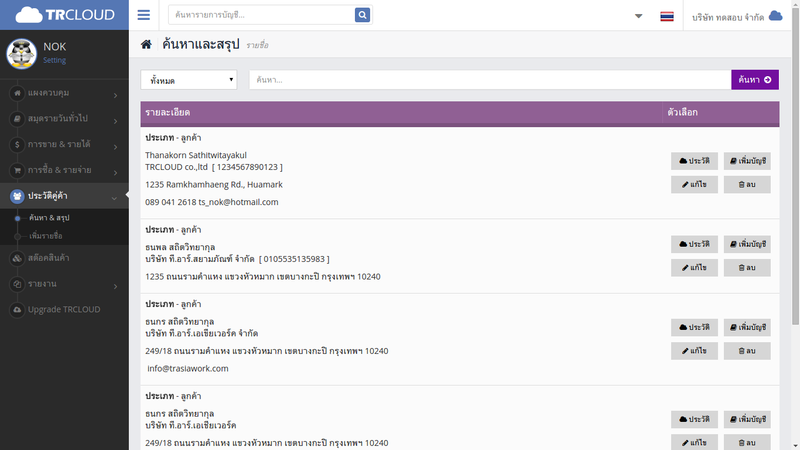 It was designed specially for Thai SMEs and Startups. Moreover, it develops collaborations between firms and accountants in a way that never happen before. TR SIAMPUN CO.,LTD was established in 1982 as a company in water treatment industry. In 2014 we develop cloud-based accounting software called 'TRCLOUD'. We are making a lot of emphasis on innovation as well as continuous improment.